If we should not buy ‘snake oil’ from the street peddler, then what should you do for low back pain? – Pain. Health. Exercise. If we should not buy ‘snake oil’ from the street peddler, then what should you do for low back pain? Low back pain (LBP) is the most common musculoskeletal problem worldwide, with up to 85 percent of all people experiencing LBP at least once during their lifetimes. Among all musculoskeletal problems, it is the most common complaint that people seek medical help for. We all know how disabling and troublesome low back pain is, especially when it is persistent and affect activities that we need to do or enjoy doing on a regular basis. I am not ashamed to admit to my patients that I even had to take medical leave once due to LBP! Being a musculoskeletal physiotherapist, I was able to diagnose the condition myself and understand what it requires to manage it effectively. However, the lay people may not be equipped with the necessary skills and knowledge to do so. Thus, relying on mass media for information is the most common method for people of our generation these days. An alternative would be heeding the advice from our friends and families. These methods are convenient and we trust that they are safe and reliable. But, wait a minute! Haven’t we been told before, to never quote information from unreliable sources from the internet during our schooling days? From my experiences, I have found that the best approaches to manage LBP often contrast with the beliefs of the public. This is alarming, as this means that the large majority of people out there with LBP are treating their LBP with methods that are still unproven! Below is a list of the common myths we often hear from our clients and we will try our best to explain why they might not be exactly true. You should not exercise with back pain. Exercise therapy has been shown to have modest benefits in patients with sub-acute (4 to 12 weeks) and chronic LBP (>12 weeks). In addition, the improvements associated with exercise therapy may be long lasting (≥1-3 years). In both sub-acute (4 to 12 weeks) and chronic LBP (>12 weeks), exercise therapy is particularly beneficial when the approach includes aerobic activity (eg. brisk walk, swim, bike, jog) and is accompanied by biopsychosocial-based approaches that include a cognitive-behavioural approach(changing your beliefs and attitudes about LBP) and facilitating a graded exercise regimen (ie, increasing exercise activity in small steps). No treatment can guarantee you complete pain relief, not even spinal surgery! This is because, the nature of LBP is such that recurrences may affect up to 40 – 50% of patients within six months and 70% in 12 months. Besides, pain (in this case LBP) serves as a good warning system to inform us of impending or further tissue injury. If you are in a situation that may get yourself injured potentially (for example sitting for 4 hours straight), it is best that you experience some aches so that you can do something about it. Physiotherapy is a form of conservative treatment that seeks to treat underlying physical impairments that are linked to the development/maintenence of your pain. Exercise therapy is the fundamental intervention that physiotherapists use to rehabilitate people with pain and dysfunction. From what the research suggests, exercise therapy has a major role in reducing the recurrence rates of LBP, and is the only modality that has been proven to work! If your physiotherapy treatment did not include a sensible exercise programme, it is unlikely to work for you in the long run. Do also take note that compliance is the most important reason for failure of therapy. My pain has improved since I hurt my back about 5 months ago. However, I still feel some aches with certain movements. My spine is still not completely recovered. Depending on the severity of injuries, the entire phase of recovery requires 6 – 12 weeks and it varies slightly among different people. What we know about injury is that, changes occur in the entire nervous system when you get injured. 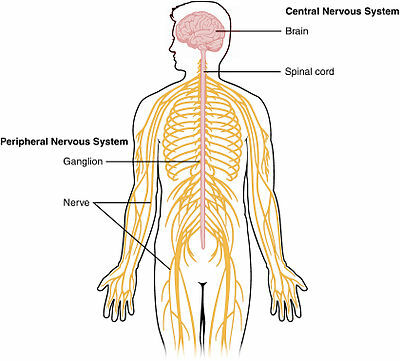 The nervous system comprises the peripheral nervous system and central nervous system (spinal cord and the brain). When you sustain an injury, nociception (electical messages that conducts through your nervous system from the injury site up to the brain) gets sent to your brain. Once this amount of nociception exceeds your body’s threshold, you will experience pain. The nervous system adapts in relation to the amount of injury sustained. If we have a minor injury, the pain we feel initially is usually mild and time taken to recover is usually short. However, when our injury is more significant, our nervous system changes to produce a greater intensity of pain. In other words, it becomes more sensitive. The time taken for tissues to recover and for pain to resolve, are usually longer. An analogy would be to imagine the nervous system as equipped with a few volume knobs throughout the peripheral and central nervous systems. 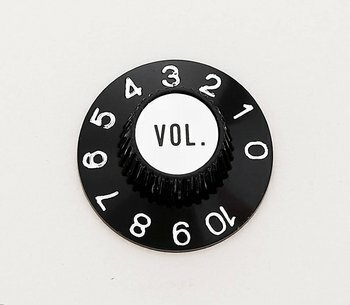 These volume knobs control the ‘volume’ (sensitivity) of your nervous system. When there is serious damage, the knobs of different parts of the nervous system will adjust from a (normal state, normal sensitivity) ‘4’ to a ‘10’ (enhanced state, hypersensitivity). It requires some time for the volume dial to go back to ‘4’. (NB: for some people, it may remain at ‘6-7’ for an indefinite period of time. This phenomenon is well known in medicine as ‘chronic pain’). Injuries do recover but sometimes it takes a longer time for nervous system to return to normal state. Lifestyle factors like stress, lack of sleep, anxiety and depression can be major factors that can result in long term nervous system hypersensitivity. To learn more about this, please refer to this very informative Australian website! Spinal manipulations are done to adjust your posture and re-align your discs and joints. Most people would have seen or heard about ‘cracking’ of spines as a form of treatment for pain. Medically termed as spinal manipulation, physiotherapists trained in this aspect are certified to deliver safe spinal manual therapy (or manipulations). The purpose of manipulation is to ease restriction due to stiff joints or tight muscles. A manipulation can easily result in instantaneously reduction in pain and improvements in movement. As a result of the manipulation, you may find that you can move better. There is no available evidence to show that x-ray scans can identify mal-aligned joints, or your discs/joints can be re-aligned by spinal manipulation. I am a trained practitioner of joint manipulations and I know the benefits and limitations of this skill. If someone is trying to sell you this service, you got to be wary! Manipulation may be effective for acute (new onset) low back pain management. Integrating it into the therapeutic plan for individual patients should depend upon your physiotherapist’s preferences and your access to this intervention. Diagnostic tests in general are indicated if the test will help guide specific treatment strategies, hence improve treatment outcomes. Diagnostic testing performed without clear indication, can lead to unnecessary interventions, increased patient anxiety and costs. A scan will be needed if your healthcare professional needs to exclude the possibilities of cancer, infection, fractures or other life-threatening conditions. When you first sprained your ankle, it can be very painful. The first thing that comes to mind is to wrap it tight, apply ice for pain relief, rest it. This rule applies to a sprained back too. What you require initially is definitely not a protocol of leg lifts, crunches and jogging, but an assessment to diagnose your pain, followed by relative rest and pain relief. For acute (first 1 to 2 weeks) onset of LBP, physiotherapists employ appropriate pain relief treatment to manage the pain. There is research to suggest that physiotherapy application of pain relief treatment can result in he reduction of the need for painkillers, which means the reduced risks of development for side effects from medication. Modalities like electrical stimulation, heat therapy, manual therapy are effective in pain management. 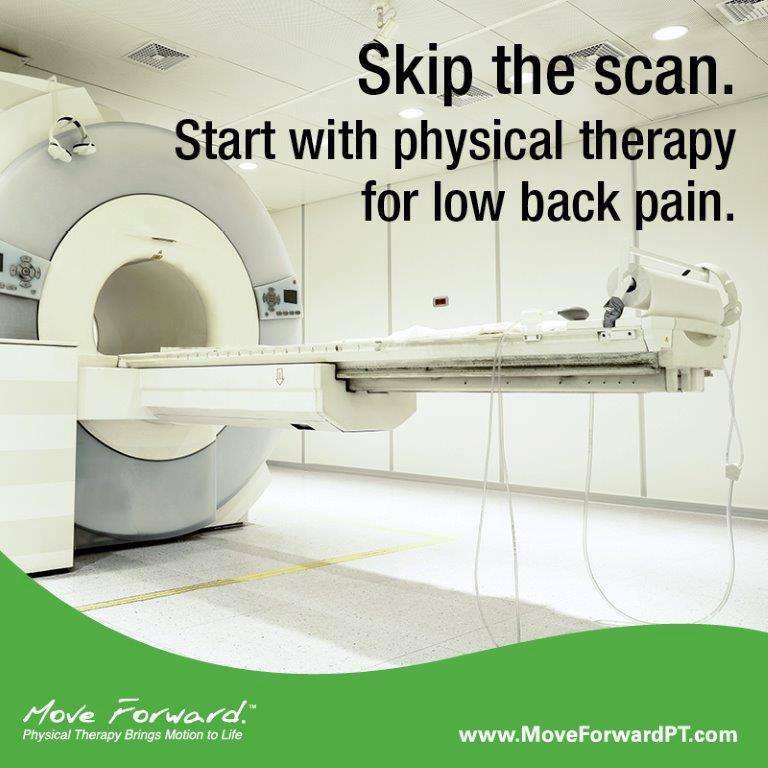 As people who develop severe back pain tend to fear for the worse(very common), early intervention to provide the right diagnosis, reassurance and self-care strategies are crucial to prevent your LBP from becoming persistent. Early intervention is also effective to identify cases when early medical intervention is necessary (less common). Early physiotherapy assessment and intervention can be a cost-effective solution. Most people are unsure how active they can get after a back injury. Although LBP can be very painful initially, most people recover well and fast within the first few weeks. Most people with LBP experience no major change to their quality of life, although it is common for small periods of back discomfort to occur occasionally over the person’s life. That means that they can gradually return to the activities that they once enjoy. There is little substantial evidence to prove that poor posture is the cause of low back pain. If you do a Google search for “posture and pain,” you get 4 million hits. This is the commonest myth on LBP you will ever read about in the internet. 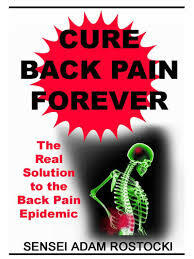 To find out more about the research behind back pain in relation to posture, refer to this. Posture is only one of the many factors that may influence your back pain, as LBP is multi-factorial. The longer your backpain persists, the more multi-factorial your case is usually. Often, we fail to note that important factors for consideration in persistent low back pain, like occupational types (sitting duration, sitting surface, percentage of time spent sitting in a day of work, awkard positions, etc), work and family stress, sleep, are also extremely important. In fact, research has shown that these factors are truly the more important factors that will determine if you will recover from an episode of LBP. Next time when your physiotherapist asks about your work, sleep and well-being, make sure you pay attention to these! Having a peace of mind before you start your rehabilitation is extremely important, and I hope that I have covered your concerns and addressed them sufficiently. If ever in doubt, do consult your trusted healthcare provider. Previous Post Adding education about pain for physiotherapy treatment?